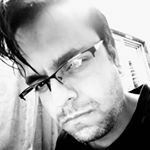 India is a fast-growing market. Along with the economy, the income of middle-class citizen is growing rapidly. As people have started earning more money, they can afford to book Airplane tickets, travel in 1st class train tickets or buy a new four-wheeler. Traveling in a car is a pleasant experience. You can go out for a vacation anytime with your family. No one excluding your family members will listen to your conversations. 5 to 10 years back, buying a four-wheeler was possible only for people with deep pockets. Now, everyone whose income is above 3.0 lakh rupees can easily own a good budget car. All banks in India offer car loan. If you’re eligible for a loan, you can quickly become an owner of a car. Among the plethora of four-wheelers available in the Indian markets, we’ve compiled a list of 8 great cars below 10 lakhs in India. Most cars launched by Nissan in India have failed, but Datsun Go Plus has managed to bring the company back on track. This four wheeler costs below 5.0 lakhs. It has beautiful interiors, 1.2-liter energy-efficient engine, and lovely features. This four wheeler has a modern design and stunning looks. When you look at it for the 1st time, you’ll get a feeling that Honda city costs within 1500000 Rs range. Despite its attractive design, Honda has priced the latest model of City VX at just 10 lakh Rupees. You can by older models for a much lower price tag. Recently, Honda Motors had made a big announcement of launching 14 new variants its most popular sedan in India i.e., Honda City. These new VXO model cars have a better satellite navigation system and they all support voice commands. Honda City features an alarm based security system along with a couple of connectivity options that includes USB port, Bluetooth module. It has many useful functions to improve your driving experience. This Honda car is fitted with a DVD player that supports FM Radio, iPod connectivity, touch input, etc. Both petrol and diesel versions of Honda VXO pack similar parts. They’ve i-VTEC, i-DTEC engines respectively that produce a decent displacement of 1400cc. They have a ground clearance of 165 millimeters, 1-ton weight, and manual/automatic transmission system. VXO is a five seater car that packs with a 40 liters fuel tank. Its mileage is within 15 to 23 KMPL, and top speed is 190 kilometers/hour. Hyundai’s most popular sedan in India is none other than this engineering masterpiece. Hyundai Fluidic Verna has 25 millimeters lesser length as compared to Honda City and its width is 5.5 feet. This car from Hyundai is fitted with a 1.4 L CRDi engine that generates higher torque and displacement than Maruti Ciaz’s engine. Fluidic offers a very decent mileage of within 17 to 25 KMPL. It has every feature that you need. Verna carries a price tag of 7.5 lakh Rupees. Ciaz is the best sedan that you can buy for within 7 to 8 lakh Rs. It is also one of the most successful and best-selling Maruti cars. Along with premium interiors, this sedan supports power steering. It has an engine that produces a displacement below 1250 cc. Like Renault Duster and Honda City, Ciaz can carry 5 passengers at a time. This car has rear and front power windows. Look wise, Ciaz can easily score 5 out of 5. But its engine is less powerful than that of Honda city, Verna and other sedans in the same price range. Maruti Ciaz packs a 5 gear system and central locking system. Maruti has launched some petrol and diesel variants of Ciaz sedan. The Z+ model is costliest among them. It has GPS module and touchscreen-based entertainment system. Ciaz Z plus supports voice commands too. Maruti Ciaz gives an excellent mileage of 26.1 kilometers per liter. If you’re looking a cheaper alternative to Honda city sedan, Maruti Ciaz and Hyundai Verna are the best available options. Price: within Rupees 7 and eight lakhs. Maruti has seen great success with its Swift series hatchback cars in India. The first models of these two cars were first spotted in the year 2005 and the company’s popularity skyrocketed since then. Believe it or not guys! Maruti is still manufacturing Swift car as its market demand has not stopped. The latest model of Maruti Swift will cost you within 4.4 to 6.5 lakhs. In my perspective, the price is decent because this car offers plenty of features and an excellent on-road mileage. Maruti Suzuki Swift has a gas-filled front and axle based rear suspension. It features an 1100 cc engine that generates maximum 84 PS power at 6K RPM. This car has a weight of 965 kilograms. It is fitted with a 32 L fuel tank (60L for CNG model). Swift has front disc rear drum brakes. Its top speed is 160 KMPH, and the mileage is 24 kilometers per liter. Maruti Suzuki Swift is better than Maruti Celerio and Hyundai I10. The Duster car from Renault has the best looks and specifications among other SUVs in the same price range. With a length of 4315 millimeters (170 inches), Duster includes a 1.5 L diesel engine that generates 150 bhp power. It has an excellent ground clearance of below 210 mm. Thus, you can ride Duster on any road. The Renault Duster SUV has a manual 5-speed transmission. It has stylish glossy interiors and some useful security features that include a central locking system, engine immobilizer, etc. Duster offers a broad range of comfort options. To name a few, there’s headlight alarm, keyless entry system, digital clock, etc. It carries Rs 8 to 14 lakh Rupees price tag. Duster gives a mileage below 20 KMPL. It can reach up to 180 kph speed. 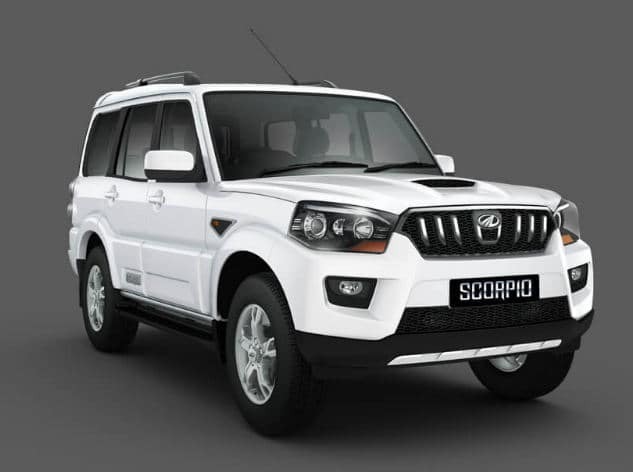 Mahindra Scorpio has a 2500+ cc four-stroke engine and tubeless tires. It features a power air conditioning system that can control the temperature of the car automatically. The car features anti-roll technology to provide a great driving experience. The Mahindra Scorpio car offers a six-speed transmission system and it has a smart dashboard where the driver will get important details of the car i.e. speed, mileage, interior temperature, current gear, etc. Scorpio comes with a touchscreen infotainment system that supports Bluetooth, Aux, and USB connectivity. It can play CD and DVD disks as well. Mahindra has incorporated the GPS navigation system inside the infotainment module. The Scorpio car can reach up to 166 Km/h. Elite i20 from Hyundai is one of the best cars you can buy for below 10 lakh INR. The car has great interiors. It offers excellent mileage and amazing features. Like other cars we’ve covered in this article, Hyundai Elite i20 provides six or five-speed transmission system. It features ABS and a sophisticated airbag system that protects the back passengers as well as the driver. To make sure that you don’t get a headache while parking the car, i20 has RPAS system. Conclusion: Frankly speaking, buying a car in India is not a difficult task. Most dealers allow you to test drive the vehicle. While testing, you should closely have a look at the interiors and engine performance. Visit your nearest Honda, Maruti, Nissan, Renault dealer and take a test drive of any one of the above six cars.